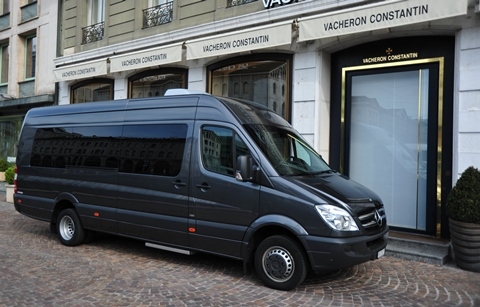 Ideal for a large group of profesionnals, ELEGANCE LIMOUSINES offers you the most recent Mercedes Benz Sprinter 12-seater. Come and have a seat in our Mercedes Benz Sprinter ! This nice vehicle offers a comfortable mode of transportation for groups up to 12 passengers. Perfectly suited for this type of transfer, it is pleasant and comfortable with DVD/video-player system, cool box. The interior design, airconditioning, and tinted windows come as a standard in this vehicle class. With our courteous and professional drivers, your trip will be a success !